This integration between Podio and MailChimp allows you to sync your contacts and your email campaigns. The integration will do a two-way sync of your contact lists in MailChimp and Podio. 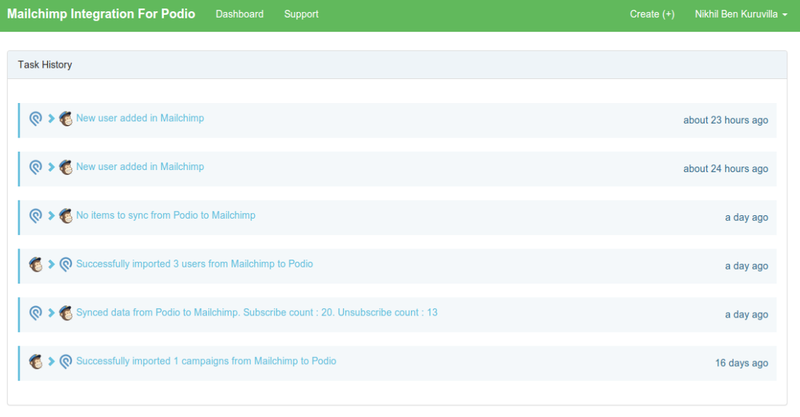 The integration will also help to display all MailChimp campaign reports inside Podio. Please note: This is not an officially supported Podio integration - if you have any questions regarding this extension, please direct them to our partners at Phases.